Juana is a happy youth who likes to be involved in activities that include being outdoor and indoor pursuits. She is very sociable among her peers and adults. When she is comfortable, she is easy to talk with and engages well in conversation. Juana tends to talk about a lot of topics all at one time. She has short goals and plans day to day. When Juana is outdoors, she likes to go hiking to find something new. She loves to sing while she walks or when she is busy. Juana is great with others who are positive and who like to have fun. She loves to tell people jokes and make them laugh. Juana is looking for a family who will support her in the future. Juana's family will need to support and understand her emotional and social needs. She wants a family who is positive and happy. 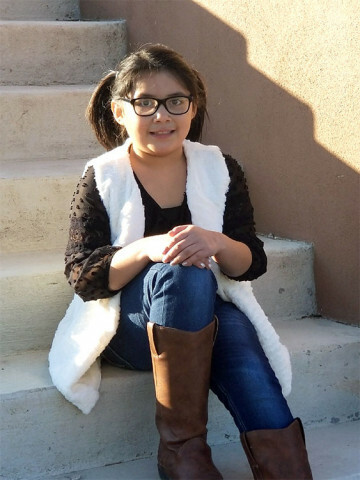 The family will be stable and have a daily routine for Juana. She would like a family who is involved with her at all times. Juana needs a family who has a great sense of humor. The family will have few children as she likes all the attention from the family. Juana needs a family who will guide her with her education decisions and education plans for the future. The ideal family will be supportive and ensure that she has any supportive services she needs.